This is a remarkable potential species comeback for scientific researchers to witness. 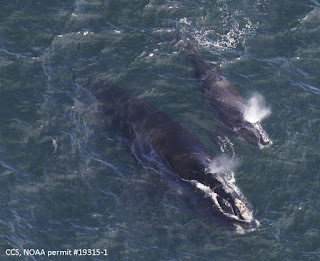 The Center for Coastal Studies in Provincetown, MA has documented that they've spotted three North Atlantic right whales and their calf pairs in Cape Cod Bay, Massachusetts this spring. There are only 450 of the species left in the world. North Atlantic right whales are among the world's most endangered species. No calf pairs were spotted in the Bay in 2018. At least one third of the North Atlantic right whale population is in Cape Cod Bay right now as part of their annual migration north to cooler waters. The species was hunted to extinction by the early 1890's and listed as endangered in 1970. They have high blubber content and are a valuable target for hunters. 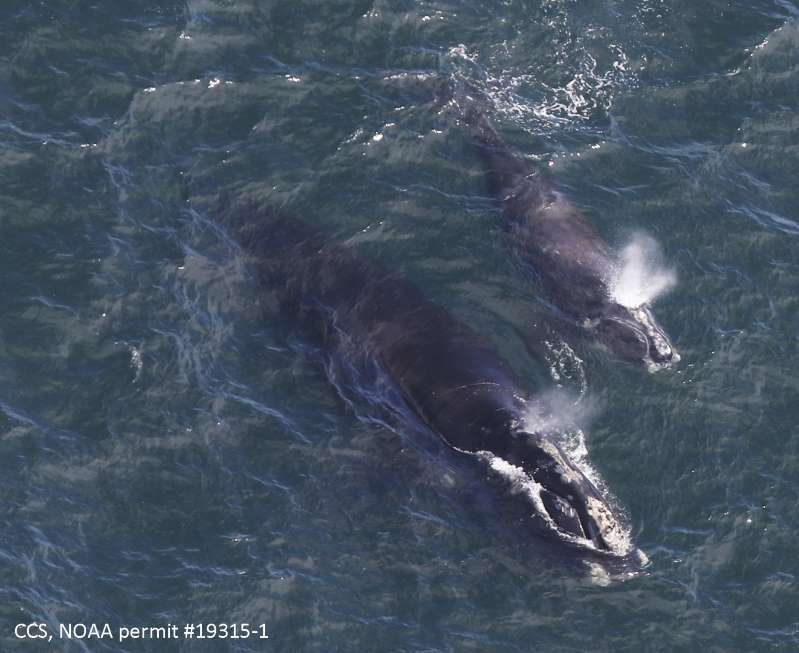 3 mothers and their calf pairs were spotted off Cape Cod in the past week. Experts say they gave birth in Florida and Georgia before swimming up the east coast of the US this spring. Another pair were spotted earlier. This gives hope to scientists that the species may be starting to make a comeback. It is illegal to come within 500 yards of the whales without a federal research permit.